We are more than 30 years into the epidemic that impacted San Francisco so significantly, and the times have certainly changed. But with progress comes new challenges, and the needs of our clients are as great as ever. ALRP’s clients are being evicted at an alarming rate and can no longer afford the city that has sustained them for years. 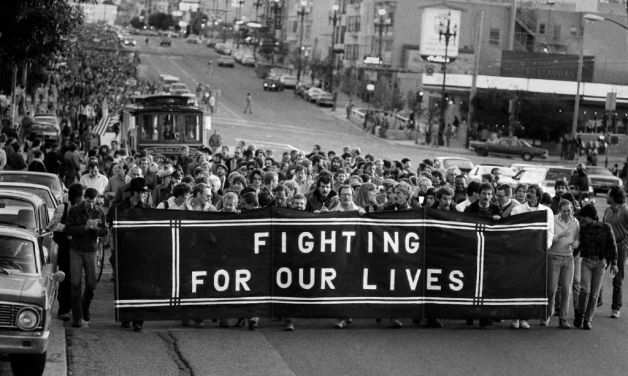 Who would have thought that people living with HIV/AIDS would survive decades of trauma only to fight new battles to remain in their homes and communities? Growing income inequality is at the root of many of these issues, and political leaders are attempting to address this force that is transforming our City. Having worked on efforts related to reducing homelessness for many years, I recall when we used to emphasize that many folks are just a couple of paychecks away from homelessness. The reality is now much dimmer. 76% of people living with HIV in the City are currently at risk of homelessness. Rather than paychecks, these folks are mere dollars away from living on the streets. When I was in law school, roughly a hundred years ago, I remember being in awe of the talented criminal defense attorneys who were on the cutting edge of defining personal liberty and limiting the powers of the government and police. I am seeing now that it is our housing attorneys who have been thrown into ground zero in the fight to keep San Francisco diverse and accessible. With your continued support, ALRP is going to fight hard to make sure that our clients have someone fighting on their behalf to help keep them in their homes.